A very young Walt Disney? Is this a photograph of young Walt Disney like some history accounts claim? That’s not Walt Disney. 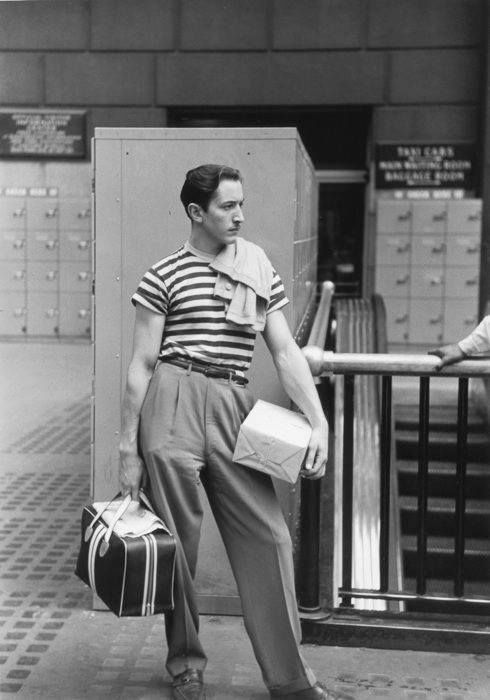 It is a photograph by Ruth Orkin called “David at Penn Station”, 1948. I don’t David’s last name or if that’s the real name of the person. David might refer to Michelangelo’s David based on the pose.